American Diving sponsored a fund-raiser for Air Warrior Courage Foundation hosting LCpl Tanner Ivie and Cpl Franklin Powell on a multi-day adventure off South Padre Island exploring the sunken Texas Clipper. Our two star divers, LCpl Ivie and Cpl Powell lost legs in Afghanistan. But, that didn’t slow them down. They set personal best depth records during their underwater expedition. The mission of the Wounded Warrior Project, founded in 2002, is to “honor and empower wounded warriors” upon their return from the battlefield. Please visit the Wounded Warrior Project website for additional information and ways you can assist our men and women coming home. Fab Placez wishes to thank Tim and Diane O’Leary for their continued support of the Wounded Warrior Project and for inviting Fab Placez to join Dive Week. In 2010, there were 20 new posts, growing the total archive of this blog to 41 posts. There were 257 pictures uploaded, taking up a total of 5gb. That’s about 5 pictures per week. The busiest day of the year was June 29th with 45 views. The most popular post that day was Interesting Places Around London. The top referring sites in 2010 were facebook.com, mail.live.com, obama-scandal-exposed.co.cc, android-vs-ipad.co.cc, and mail.yahoo.com. Some visitors came searching, mostly for olympic stadium london, london 2012 olympic stadium, 2012 olympics, london olympic stadium, and london 2012. Yesterday the Suzy Guides Team (Ian P. Hardy, Annie Coburn and David Ingham) headed over to the Mall (near Buckingham Palace) to launch their musical careers. Annie’s singing career is doomed, I’m afraid! The team hopes you enjoy our fun. 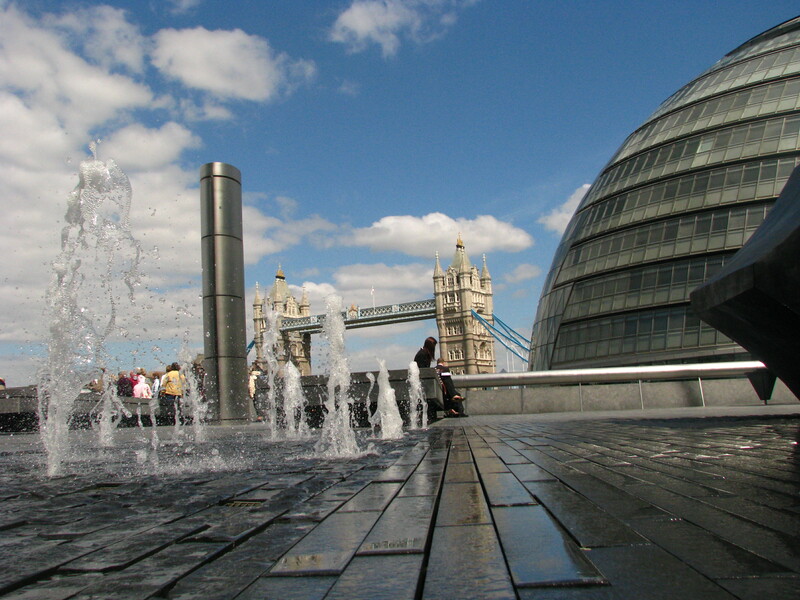 This 13 acre complex, known as More London, houses City Hall, The Scoop (an amphitheater), office buildings, restaurants and an open air pedestrian area with fountains. More London is located in Southwark, adjacent to Tower Bridge and on the South Bank of the River Thames. City Hall is an odd egg-shaped glass building constructed to capitalize on energy efficiency. However, its shape has generated nicknames, such as The Onion. 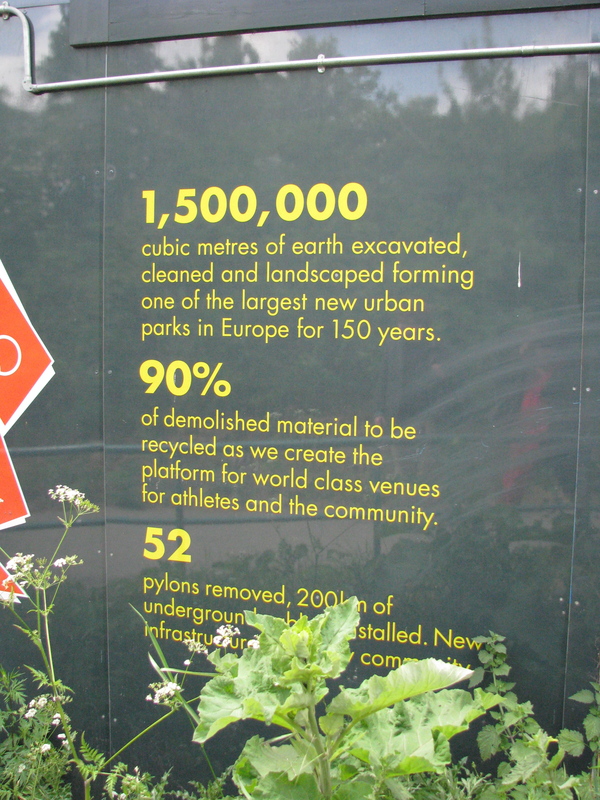 Boris Johnson, Mayor of London, daubed it The Glass Gonad. 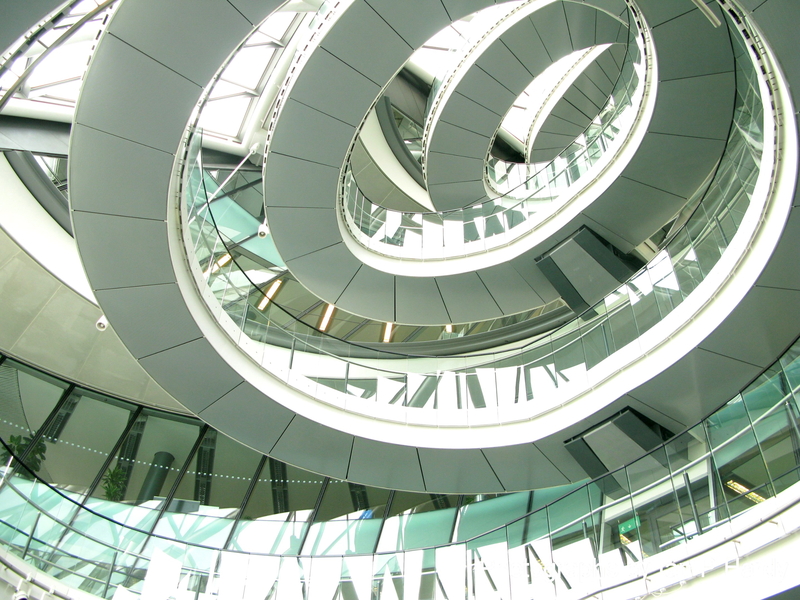 It is most fortunate that The Gerkin, a private office complex just across the Thames, is not juxtaposed to the Glass Gonad, otherwise, all the male reproductive organs would be nicely coupled!What makes City Hall most fascinating is the interior helix staircase. Truly a photographer’s dream. At a cost of 65 million pounds, City Hall is not owned by the GLA, but has a 25 year lease. The Scoop offers free summer programs from live theater to music to films to community events. It seats 800 and is located in the shadow of City Hall. On your next visit to London, drop in at More London to relax, have lunch or just people watch. Max Weissberg’s soon to be released film, Summertime, is a special treat for the Gad About Gals blog. Eight people unknowingly form a circle – either through a friendship, attempted love, or brief sexual encounter. The tighter their circle gets, the more the spokes begin to twist and to bend. One of the persons in the circle is Julia, an actress, who thinks she’s gotten her big break when she lands the role of Anya, the daughter of a Russian arms dealer. The director of the film has some radical theories on directing and believes that Julia, instead of relying on lines and a script, must become Anya. She must learn how to negotiate with hit men, handle a gun and enter into the mind of a criminal. When Julia finds out she is not the only “Anya,” however, the circle begins to break. Max needs our contributions (small, medium or large) to complete the audio mix for the film. Please visit his kickstarter website to contribute to Max’s project. The Summertime website has equally as beautiful images as the film. Don’t pass up this opportunity to browse, especially the still photos. Thank you for helping to keep independent film making alive and well. Joe Gish, seated at desk reminiscing about events in his life. I walked into cowboy history. 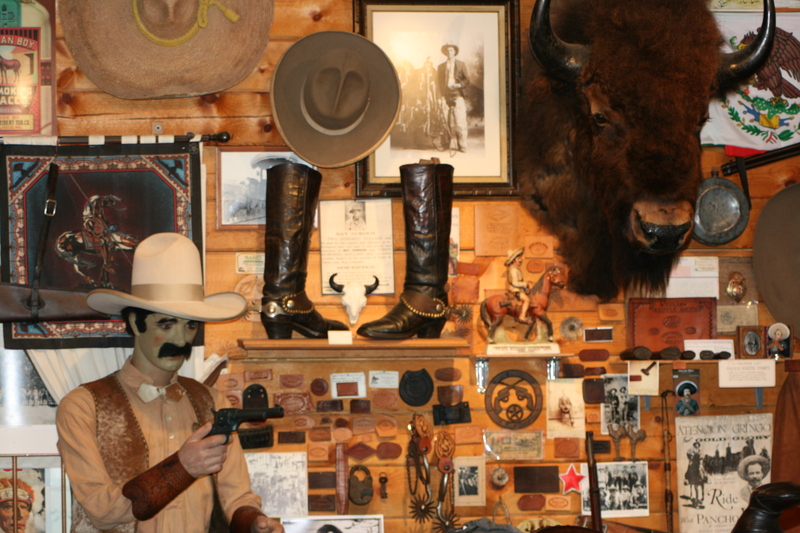 Every inch of this 600 square foot small town museum tells a story of the old Wild West. 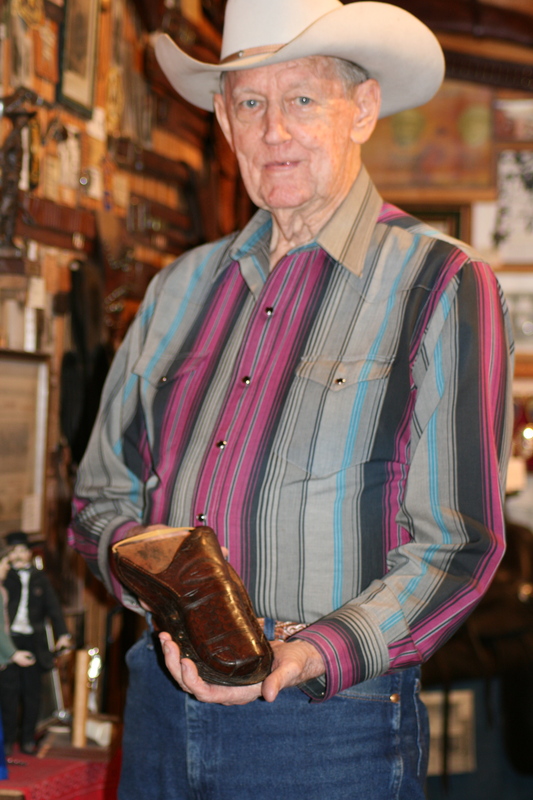 Joe Gish has dedicated half of his 83 years collecting the accouterments of real people who shaped the romance, hardships and wickedness of Texas’ past. Just moments into our meeting, Joe proudly holds a Marshal’s badge from Cisco, Texas, a shoot ‘em up outpost community a few miles east of Abilene. His eyes sparkle as he runs an old finger across the face of the badge. It was lust at first sight. Joe has many mistresses in his museum; even more love affairs. He gently nestles the badge into a piece of velvet and motions me over to a petite pair of handmade boots. 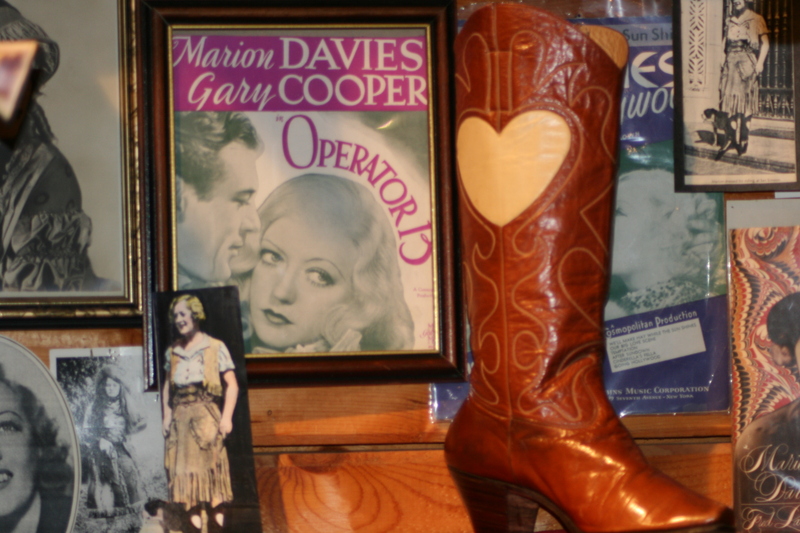 “These were Marion Davies’ boots,” as he strokes the soft leather and caresses the inlays. 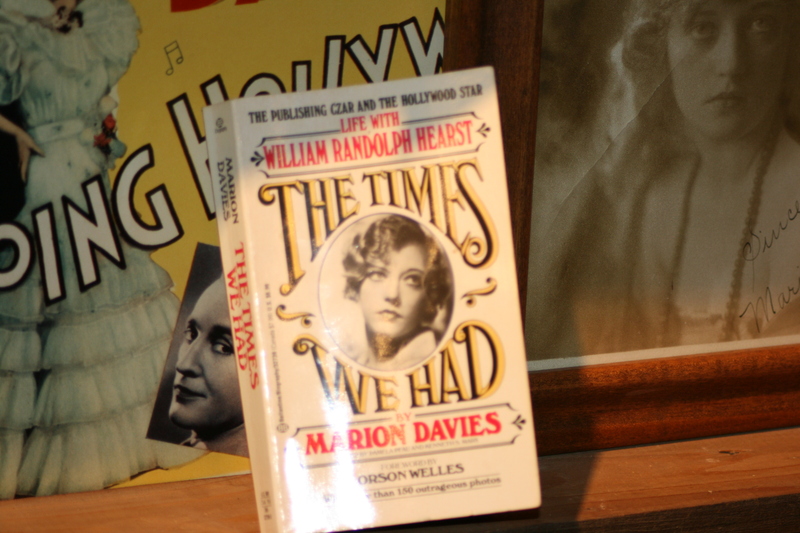 He picks up a paperback book, “This is about her life with William Randolph Hearst”. Pointing to a photograph of this diminutive woman, “Look at that. She was a beauty.” And, indeed Joe knows a good-looking woman when he sees one. For the next thirty minutes Joe and I did the Texas Two-Step around the room admiring Old West memorabilia. He led; I followed. His voice hummed an explanation of each precious piece. Step 1…2. Step 1…2. “This is one of my favorites.” Slide together now. “See how this part of the holster is shaved down?” Step 1… 2. “That’s so the Sheriff could get a faster draw.” Twirl and touch the smooth leather of a coal black saddle. We stopped to catch our breath. The poor health of Joe’s dad prompted the Gish family to move from Missouri to their Granddad’s farm in Abilene, Kansas. Farm life was good for Joe. He grew watermelons and picked fruit in the family orchards. 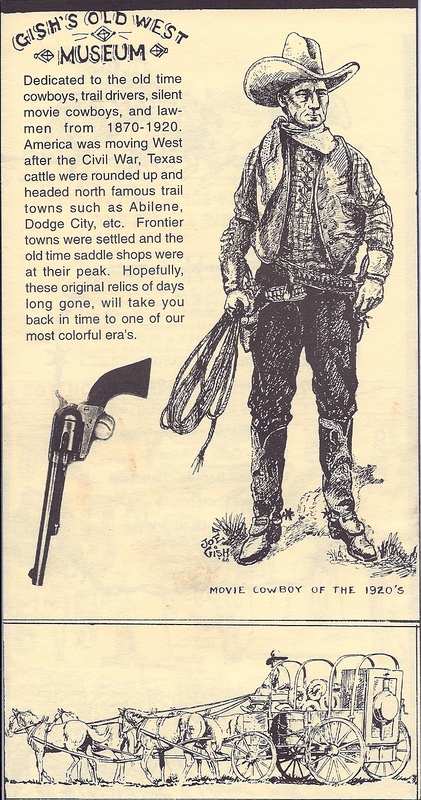 In his youth, Joe fell in love with the tales of the cowboy. He checked in and out every Will James book (his hero) from the school library and “almost wore them out.” James’ books, like Uncle Bill, A Tale of Two Kids and a Cowboy, inspired Joe to doodle pictures of cowboys, horses and scenes from the Old West on his schoolbook covers. Before long, his drawings were gaining in size and expertise. When he graduated from high school in 1943, some friends invited him to join them on a trip to the Texas Rio Grande Valley. “The Texas Valley was the most beautiful country I had ever seen. Palm trees lined every road.” When his friends were ready to return home, he decided this was where he would put down roots. With $5.00 in his pocket and not knowing a single soul, Joe began to carve out a place for himself in the Texas-Mexico border community of McAllen. Initially, he got a job at the best men’s wear store on Main Street. A cute, young Betty Jo, who worked across the street at the drug store, caught his eye. A short time later, they married and started a family. Joe found a career at Sears where he worked for thirty years. The manikin that now watches over Gish’s Old Wild West Museum once wore suits in his men’s department. When he retired, the manikin followed. It didn’t take long for Joe to transform this city dude into a gun toten’ Stetson wearin’ cowboy to greet visitors to the museum. Joe's gun toten' Stetson wearin' manikin greets visitors at the door. After thirty years of marriage, Joe and Betty Jo divorced. But, the handsome Joe Gish soon met the good-looking Charlene, his wife and companion for the last thirty years. Thirty seems to be a nice round number for Joe! Joe and Charlene spent five years searching for the perfect home for their dream museum. Texas and Fredericksburg had all the right ingredients: friendly people, nice sized community and a perfect location near town on the road to Enchanted Rock. In the late 1980’s Joe inaugurated his log timbered museum. 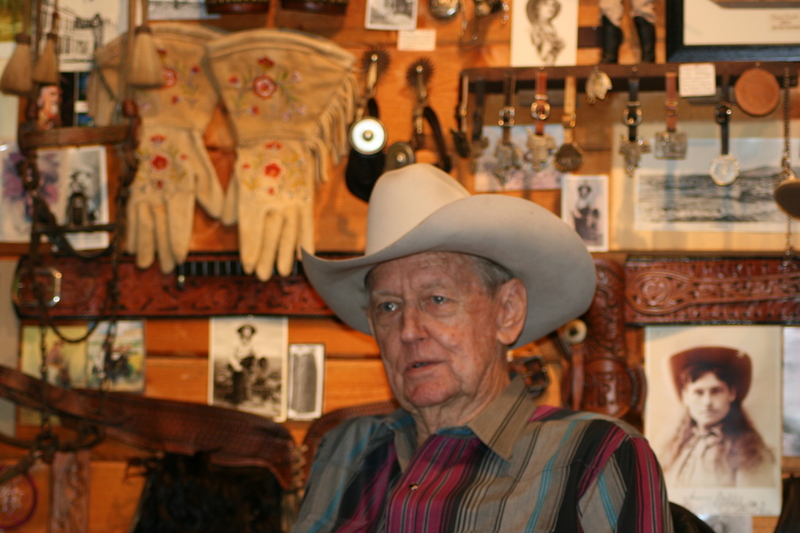 Other cowboy enthusiasts drop in to swap stories or share a newfound treasure. As I prepared to leave Joe and his memorabilia, he gave me a big Texas hug, “Nice to meetcha, ma’am. Come back anytime. There’s always something new to see.” And indeed I plan to pay Joe and Charlene another visit next time I’m in the Texas Hill Country…just to say “howdy” to my new friends! No regular hours, museum is open when here. Come by or call for an appointment.